You are now viewing Craft Fairs In Yorkshire. Whitby market is held every weekend in the middle of the old town, we are looking for a variety of stall holders to stand on a regular basis. 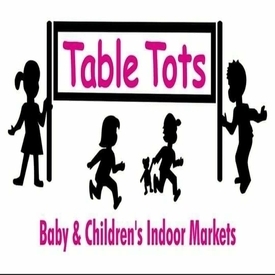 we will be open from early February cost of standing..
Table Tots Baby and Childrens Indoor Markets are maternity to age ten nearly new sales for toys, clothes, buggies and equipment. Buy or sell quality pre-loved items for mums-to-be, babies and..
Join us on the last weekend of the month from March to November, 12 noon till 3pm, for a great day out shopping and browsing at our two fantastic markets. 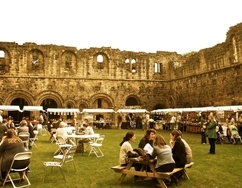 Come along to Kirkstall Abbey where..
Artsmix Art & Craft Market Leeds City Centre.Saturdays 10.30-18.30Arts, Crafts, Produce and much, much more in Leeds City Centre.About Albion PlaceWith up to 25 stalls, the Albion Place market..
Local Community event held 4th Saturday in hall and grounds of St John's Church, Farsley. Free entry. Dogs welcome. Family Friendly. Disabled facilities. Produce/Home outdoors. Crafts/gifts/.. 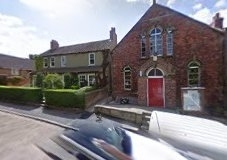 In 2019 we will be starting events at the beautiful church and hall ST MARY LE WIGFORD in the middle of Lincoln. With it being in the city centre I shall be making a plonker of myself wearing..
Coxwold Village Market is a brand new Food & Craft market launching in the picturesque village of Coxwold, managed by Katie Turner.The market is founded on a passion for the community, supporting.. Craft and Gift Fair in the beautiful village of Heckington. 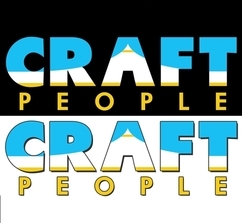 Pontefract Arts and Crafts Markets - Are you a crafter? 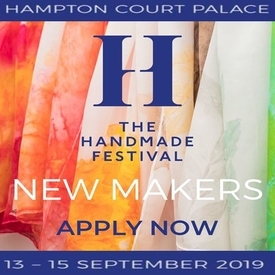 Fancy turning your hobby into a little money maker? 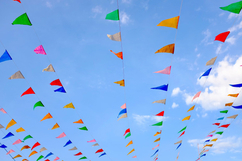 Why not try Pontefract Arts and Crafts Market, which will be held on the first Friday..
We are delighted to welcome the Tour De Yorkshire back to the district on Friday, 3rd May 2019 as it passes through Pontefract Town Centre once again. We are currently planning a full day of.. Weekend craft and gift fair in the heart of beautiful Haworth, West Yorkshire. Lots of lovely stalls selling all kinds of handmade crafts and gifts. 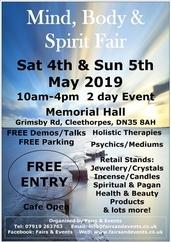 We showcase the best of local craftspeople..
We're back in 2019 and now open for bookings with our 2 day Mind, Body & Spirit Fair at Cleethorpes Memorial Hall on Sat 4th & Sun 5th May 2019 10am-4pm both days.FREE EntranceFREE Talks/Demonstrations..
We are back at this lovely venue in 2019 for a monthly event that will really put us on the map in the area. 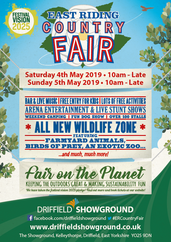 Its £14 a 5ft table or you can bring your own 6ft Lincoln Owl Rescue will be..
YORKRAFT has been operating for over 20 years and we are a friendly group with many returning exhibitors, but would welcome new faces and crafts. 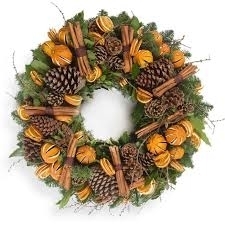 Everything has to be hand made, no bought in..
Woodhall Spa Craft and Gift Fair 2 Day Event - Situated in the beautiful village of Woodall spa a craft and Gift Fair with over 30 stalls. 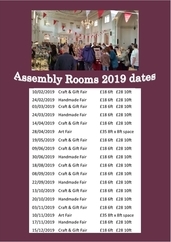 These events are held in the busy market town of Helmsley This town is on the very edge of the North York Moors The town has many small independent businesses Guest houses and Hotels Fairs have..
Dippy Craft & Gift Fairs are coming to Filey for a fabulous Craft & Gift Fair!! 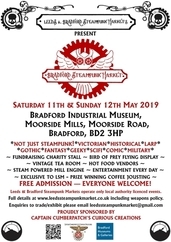 Situated in the Concert Hall of The Evron, 17 stalls are available from £26 including table & chairs and..
LSM brings you Bradford Steampunk Market on Saturday 11th and Sunday 12th May 2019.Bradford Industrial Museum, Moorside Mills, Moorside Road, Bradford, BD2 3HP.The weekend will be as follows..
We are holding one of our regular Table Top Sales. Tables are now available from ten pounds. We already have a number of bookings, so book now to avoid disappointment. To book, call Richard..
Pudsey Baby And Children's Indoor Market - Table Tots Baby And Children's Indoor Markets; Pre - Loved, Nearly New Sales - Maternity To Age Ten. 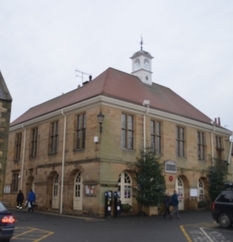 So Clear Out The Grown Out Of And Those Surplus..
Artisan Crafts : Meet The Makers at Helmsley Town Hall A popular event held in this picturesque market town - a popular tourist attraction throughout the year. 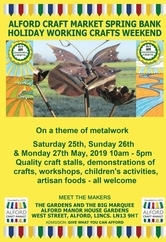 The event is held in The Town..
Louth Craft and Gift fair - Fantastic monthly craft and Gift Fair x x set in the beautiful town if Louth x lively stalls each month and refreshments are available x tea and coffee just 50p and.. 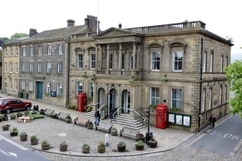 Craft, Collectors & Gift Fair, Skipton Town Hall, North Yorkshire. 10.00 - 16.00. The Fair is in the historic Market Town of Skipton. 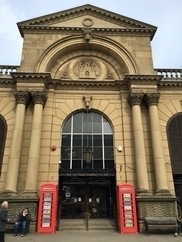 The event is held at Skipton Town Hall on the High Street..
Guiseley Baby And Children's Indoor Market - Table Tots Baby And Children's Indoor Markets; Pre - Loved, Nearly New Sales - Maternity To Age Ten. 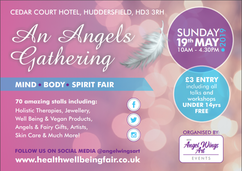 So Clear Out The Grown Out Of And Those Surplus..
An Angels Gathering MBS Fair Huddersfield - An amazing collection of Mind, Body & Spirit stalls with a variety of readers, therapies and retail. 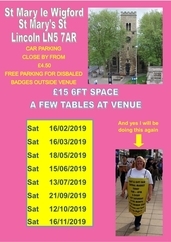 Also free demonstrations and a choice of talks..
2019 is our 6th year at this beautiful venue set in the heart of uphill historic Lincoln, an area very popular with tourists and day trippers as well as locals. Good footfall and some amazing..
Now into its 25th successive year of Table Top Sales, this popular event has up to 67 stalls - 43 in the Main Room only from April to September- showing in the Main Room and Evans Room of the..
Approved quality craft stalls in the Alford Manor House Gardens and Big Marquee on a theme of metalworking. 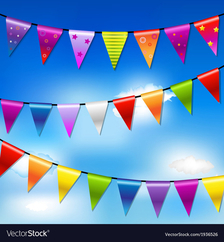 There will be a variety of stalls in all crafts but in particular we will be focussing..
Spalding Festival - A charity festival raising money for local causes. Pitch fee goes to charity. See website and Facebook for more details please. We Are Looking For A Wide Variety Of Crafts Gifts And Foods For Our Event At The Stunning Cusworth Hall! For Food Enquires Please Contact nikkislasor@live.co.uk For Craft/Gift Please Contact..
Woodhall Spa Craft and Gift Fair 2 Day Event - Situated in the beautiful village of Woodhall spa a craft and Gift Fair with over 30 stalls. Lovely day out in the beautiful park at Helmsley, plenty to see and do for all the family, with the very popular Craft marquees. 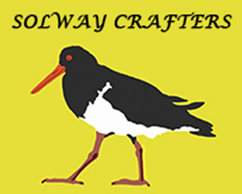 Craft & Gift Fair Filey - Dippy Craft & Gift Fairs are coming to Filey for a fabulous Craft & Gift Fair!! Situated in the Concert Hall of The Evron, 17 stalls are available from £26 including..
Wakefield Baby And Children's Indoor Market - Table Tots Baby And Children's Indoor Markets; Pre - Loved, Nearly New Sales - Maternity To Age Ten. 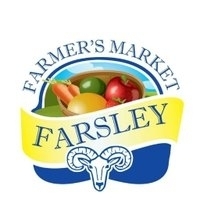 So Clear Out The Grown Out Of And Those Surplus..
Rainton Street Market - Traditional street market with stalls through the village selling crafts, items that are pre-loved as well as new, jams and plants .Classic cars on the green. BBQ.Teas..
An evening with therapists, beauticians, spiritualists and shopping. Customers pay £5 and for that they get a bar meal, a drink and help our charity of the year. £14 a space. 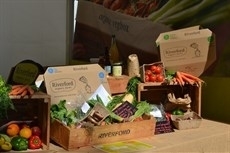 Stamford Food & Drink Festival 2019 is in its the fourth year and now firmly established in the local calendar. 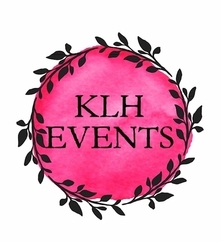 With the right weather there really is no more idyllic setting than the Stamford..
KLH Events is run by two local crafters wanting to put something back into their local community. Where ever possible we will be using public buildings and spaces run by charitable organisations..
Sunday 9th June Is Our Super Hero Themed Sale We Are Fundraising For Cancer Research One Of Our Regular Stallholders 'Mrs C' Knits Baby Things Is Battling Cancer And Undergoing Treatment For.. The fastest growing and still the best village show in East Yorkshire! 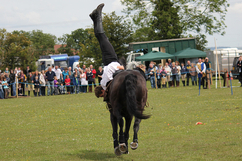 Eastrington Show has been a major attraction in Yorkshire and the North East for many years. There are classes for horses.. 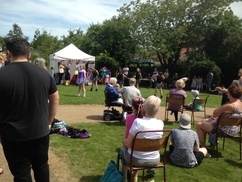 The Annual Holbeach Town & Country Fayre returns for 2019 celebrating its 25th Anniversary. The show includes hundreds of Vintage tractors, cars, commercials, motorcycles, campers & caravans.. Craft & Gift Fair Bridlington - Fabulous Two day fair in the lovely Spa at Bridlington. 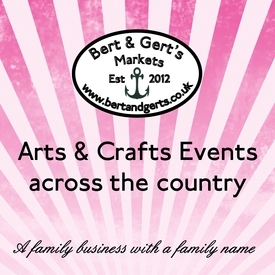 Our June and August fairs are in the Harbour Suite overlooking the bay with around 40 stalls. Our April.. 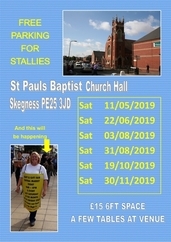 In 2019 we will be starting events at this lovely church hall in the middle of Skegness next to the Hildred Shopping Centre.. With it being in the centre I shall be making a plonker of myself.. 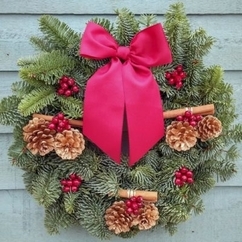 Situated in the beautiful village of Woodall spa a craft and Gift Fair with over 30 stalls. 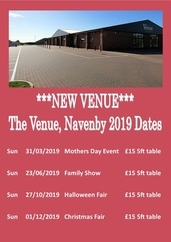 In 2019 Sunbeam will be running another Family Show.Lots of stalls sellingBaby related itemsChild relating itemsPregnancy related itemsActivities, clubs, courses, workshops geared to babies.. This is the 10th consecutive year we have run a popular street market, as part of our week-long festival raising money for charity. We are allowed to close a part of Selborne Road, Sheffield.. The Digby Fayre, renamed from the Digby Feast is going to be bigger and better this year, with more attractions and events to suit all age groups. We will still have the same number of stall..
Brighouse Baby And Children's Indoor Market - Table Tots Baby And Children's Indoor Markets; Pre - Loved, Nearly New Sales - Maternity To Age Ten. So Clear Out The Grown Out Of And Those Surplus.. The Great Yorkshire Show. 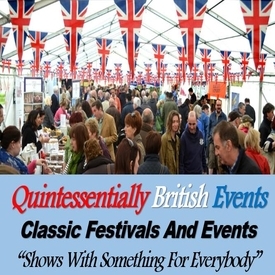 9/7/2019 to 11/7/2019 Great Yorkshire Showground, Wetherby Road, Harrogate, HG2 8PW The Great Yorkshire is the biggest and most important agricultural show in the.. 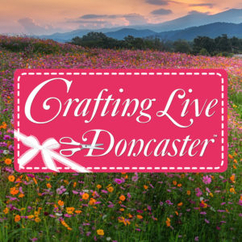 Event Organiser: Craft Channel Productions Ltd.
Crafting Live Doncaster July 2019 - Stephanie Weightmans award winning Crafting Live show will be at Doncaster Racecourse again this summer bringing a whole host of crafty celebrities. The event..
Crafting Live In Doncaster with Create & Craft TV & Bert & Gerts. 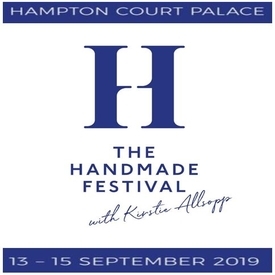 We are delighted to partner with Create and Craft TV to provide an artisan crafts pavilion at the Create & Craft TV, Crafting..
Charity Fun Dog Show & Fete. Now in its seventh year, this is a very popular event. 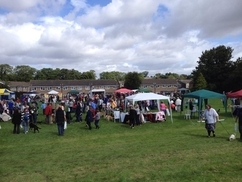 In 2018 there were over 1,050 visitors and over 180 dogs. For 2019 we already have a lot of repeat bookings..
Woodhall Spa Craft and Gift Fair - Situated in the beautiful village of Woodhall spa a craft and Gift Fair with over 30 stalls. 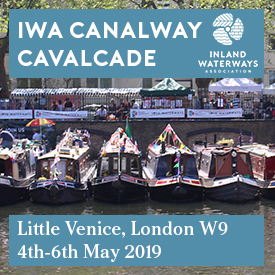 3 day event full of family fun. 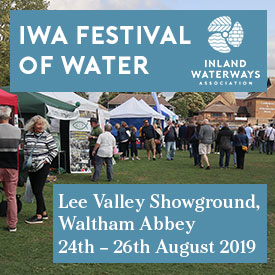 We are looking for a wide selection of different stall types. The event is over 3 days with live music. 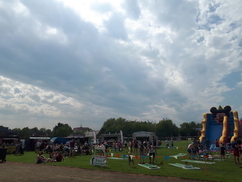 kids corner, car displays, food & drinks. 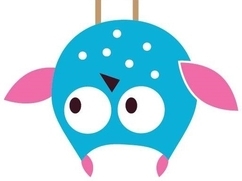 Craft & Gift Fair Whitby - Dippy Craft & Gift Fairs are coming to Whitby for a Giant Craft & Gift Fair!! 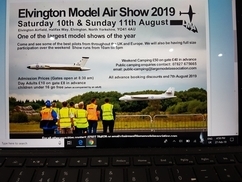 Situated in the Northern Lights Suite of Whitby Pavilion, around 50 stalls are available..
One of the largest Large Model Air Shows of the year. Around 50+ Craft & Gift exhibitorsGreat marquee location just inside the entrance£5 overnight caravan parkingFree parking behind the.. 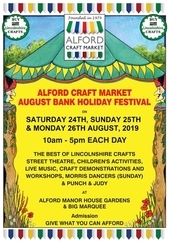 Annual community event established last 35 years, Free Entry and Free Parking, a wide range of live entertainment in the Main Marquee including The Doncaster Ukulele band, Pantastic Steel Band..
Alford Craft Market August Bank Holiday Festival - Our biggest event of the year - 3 days of approved quality Lincolnshire craft stalls in the Alford Manor House Gardens and Big Marquee where..
We will be supporting the show with a craft marquee on the field with over 20 stalls of quality hand made gifts and food all made locally. With stunning artwork, wildlife photography, wood.. Craft and Gift Marquee within the event at the Lincoln Showground Lincolnshire, LN2 2NA. This show includes leisure pursuits, Caravan, Motorhome and live musical entertainment. 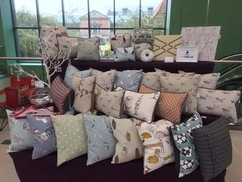 It has..
KLH Autumn Craft and Gift Fair West Yorkshire - KLH Events is run by two local crafters wanting to put something back into their local community. Where ever possible we will be using public.. Strictly Antique & Vintage sellers only. Lovely Village setting. cafe open for bacon butties, a soup sandwiches tea coffee all day. Artsmix Art & Craft Market Leeds City Centre. Saturdays 10.30-18.30 Arts, Crafts, Produce and much, much more in Leeds City Centre. 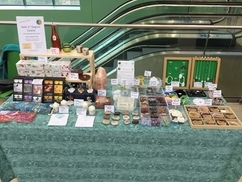 About Albion Place With up to 25 stalls, the Albion Place..
KLH Halloween Craft and Gift Fair West Yorkshire - KLH Events is run by two local crafters wanting to put something back into their local community. Where ever possible we will be using public..
We loved themed events so we are running a big Halloween event at this amazing venue.There will be kids crafts, real owls, reptiles, bouncy castle, a fancy dress competition for kids and lots.. The Belfrey - York - Christmas Fair. 10.00 - 16.30. The Fair is located on Stonegate right in the centre of York. 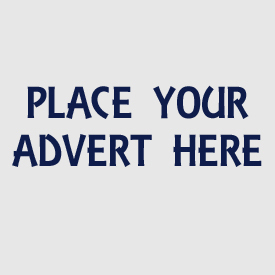 This is a well attended event with an established event organiser that has been.. These events are held in the busy market town of Helmsley This town is on the very edge of the North York MoorsThe town has many small independent businesses Guest houses and HotelsFairs have..
York Viking Festival - Craft & Gift Fair - St Sampson's Centre - Held in York city centre, St Sampson's Centre is indoor and located next to the market and the main shopping street. The Centre..
2019 is our 6th year at this beautiful venue set in the heart of uphill historic Lincoln, an area very popular with tourists and day trippers as well as locals.Good footfall and some amazing..
Guiseley Indoor Christmas Market ~ Craft and Gift Fair - Saturday 16th November 20191pm until 4.00pm£20 plus £0.91 pp (one price, one stall)1 x 6ft table provided, please bring.. In 2019 we will be starting events at the beautiful church and hall ST MARY LE WIGFORD in the middle of Lincoln.With it being in the city centre I shall be making a plonker of myself wearing..
Visit our beautiful Country Homes and Lifestyle event at the Castle offering French & English antiques & homewares, brocante & fleamarket finds, country interiors, rustic decor, decorative textiles..
Harrogate Christmas Market is a traditional Christmas Market with a distinctive Yorkshire flavour. 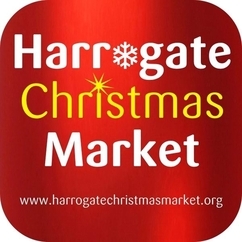 The Market is located in the centre of Harrogate convenient for public transport and for car..
Metheringham Christmas Fair - We have had an Christmas event at Metheringham now for 4 years. 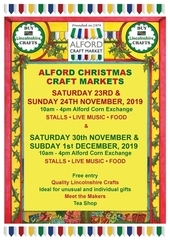 In 2019 we will have Santa, kids crafts, face painting, mascots, real owls, lots of stalls and..
Two weekends of quality Lincolnshire craft stalls at Alford Corn Exchange. 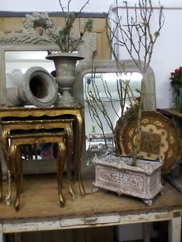 An ideal place for special and unusual presents or something for yourself. 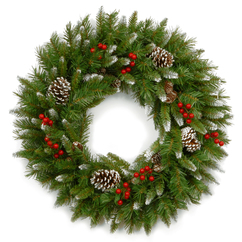 Meet the makers.No bought in goods or assembled..
Boothtown and Southowram Methodist Church - Christmas Fayre - Church are holding their annual Christmas dates and are looking for food craft and festive stalls. 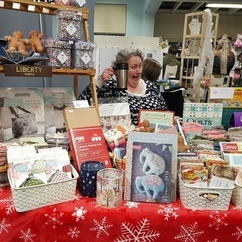 KLH Christmas Craft and Gift Fair Pontefract - KLH Events is run by two local crafters wanting to put something back into their local community. Where ever possible we will be using public.. 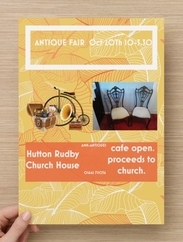 Antique Art & Collectors Fair Hutton Rudby - We would like a mixed variety of antique dealers. along with Paintings and small items of furniture. 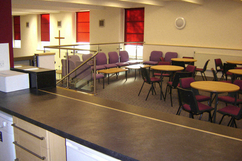 cafe open for refreshments. lovely venue. 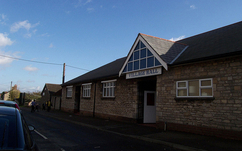 Christmas Fair Navenby Lincoln - We love a good Christmas fair. Lots of stalls selling gifts and Christmas related items.We will also have lots of entertainment including Real owls reptiles..
Lincoln Christmas Market - Sunbeam has been part of Lincoln Christmas Market for 5 years now.We take over Westgate Academy situated in the middle of the market.We have a food guy that comes..
An evening with therapists, beauticians, spiritualists and shopping.Customers pay £5 and for that they get a bar meal, a drink and help our charity of the year.£14 a space. 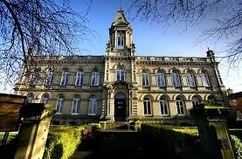 We are back at this lovely venue in 2019 for a monthly event that will really put us on the map in the area.Its £14 a 5ft table or you can bring your own 6ftLincoln Owl Rescue will be..
We Are Looking For A Wide Variety Of Crafts Gifts And Foods For Our Event At The Stunning Cusworth Hall!For Food Enquires Please Contact nikkislasor@live.co.ukFor Craft/Gift Please Contact rbtstephenson..
York Viking Festival - Craft & Gift Fair - St Sampson's Centre - Held in York city centre, St Sampson's Centre is indoor and located next to the market and the main shopping street.The Centre.. The Belfrey Hall - Stonegate, Craft and Gift Fair. 10.00 - 16.30. The Fair is located on Stonegate right in the centre of York. This is a well attended event with an established event organiser..
Swarovski Crystal Heart Pendant on..
Great Yarmouth, Britannia Pier Limited..
Personalised Bride & Groom Sock Monkey..
925 solid Sterling Silver Nature Lover..
Holistic - Blue Jade Gemstone bracelet.. Bronze Effect Resin Kissing Hares Sculpture.. Shabby chic wedding, engagement or..
Crochet Children's Slipper Boots Infant..
Natural Veg Tan Leather Eagle Embossed..